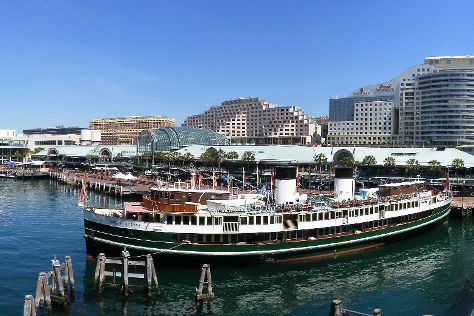 For shopping fun, head to Sydney Fish Market or Queen Victoria Building. You'll get in some beach time at Bondi Beach and Manly Beach. Get out of town with these interesting Sydney side-trips: Katoomba (Katoomba Antique Centre & Lost Bear Gallery), Falls Gallery (in Wentworth Falls) and Shelly Beach (in Manly). And it doesn't end there: wander the streets of The Rocks, admire the masterpieces at Brett Whiteley Studio, admire the natural beauty at Royal Botanic Garden Sydney, and explore the galleries of ATTY Gallery. For maps, more things to do, traveler tips, and tourist information, read our Sydney travel route planning website . In April in Sydney, expect temperatures between 26°C during the day and 17°C at night. Finish your sightseeing early on the 21st (Sun) so you can travel back home.